Federal prosecutors in Florida, Colorado, Texas, California, and several other states have begun to systematically scrutinize substance abuse and outpatient drug rehab facilities for alleged violations of federal health care fraud and abuse laws. The investigations, led by the U.S. Attorney’s Office, the Office of Inspector General (OIG), the FBI, the DEA, and various other federal agencies, have resulted in criminal prosecutions, convictions, as well as civil recoupment orders. Don’t let this happen to you! Call the former Justice Department prosecutors and experienced federal defense lawyers at Oberheiden, P.C. today to protect your freedom and your assets. Federal Health Care Fraud Defense Attorneys: Oberheiden, P.C. Hundreds of Federal Health Care Fraud Cases Resolved: No Client Wrongdoing. Hundreds of FBI, OIG, DEA, IRS Cases Resolved: No Client Liability. National Presence. Attorneys in California, Florida, Washington D.C., Texas, Oregon, Ohio, Nevada, Michigan, and more. National Reputation. Our attorneys have appeared in almost every corner of the country from Alaska to Miami, from San Diego to Boston, and anywhere in between defending members of the health care industry. National Service. No matter where you are, we have helped businesses like yours before. Trusted. Proven. Demanded. Oberheiden, P.C. is the law firm health care executives and business owners like you call when their license, financials, and their good reputation is on the line. Our attorneys have proven in hundreds of FBI, OIG, HHS, IRS, and DEA cases that there are no hopeless cases. Call Oberheiden, P.C. today and discuss your situation with our senior counsel. One of the advantages of Oberheiden, P.C. in federal health care cases is that our attorneys are involved in cases across the United States and thereby routinely notice new prosecution trends—and can adequately prepare and defend future clients in light of that information advantage. Currently, in the context of substance abuse and drug rehabilitation centers, our attorneys are involved in the defense of business owners against at least three types of federal fraud allegations: (1) criminal prosecutions for alleged kickbacks between rehab centers and toxicology laboratories; (2) criminal prosecutions for alleged lack of medical necessity; and, (3) civil prosecutions for utilizing an incorrect hospital code. Criminal Prosecutions: Federal prosecutors are currently conducting extensive investigations against the owners and operators of substance abuse and drug rehabilitation centers in various parts of the country including but not limited to California, Arizona, New Mexico, Texas, Florida, Illinois, South Carolina, and New York. The core accusations in these cases are twofold. One, the government examines to what extent the business arrangements between rehab facilities and toxicology laboratories constitute illegal kickbacks, money laundering, and mail and wire fraud. The government claims that laboratory owners pay rehab owners unlawful kickbacks in order to obtain their urine drug testing business. Several owners were recently indicted, and it is expected that this wave of prosecutions will continue. Two, more and more across the board, federal prosecutors charge physicians and business owners for referring and/or billing for allegedly medically unnecessary services. In the context of substance abuse clinics, the government openly questions the need for multiple UDTs per week. First cases suggest that the government takes an approach similar to the one prosecutors take in federal opioid abuse cases. There, doctors and business owners are under criminal scrutiny for ordering excessive controlled substances. Civil Prosecutions: The U.S. Attorney’s Office has opened federal civil investigations against mental health and drug rehab facilities alleging fraudulent billing practices. 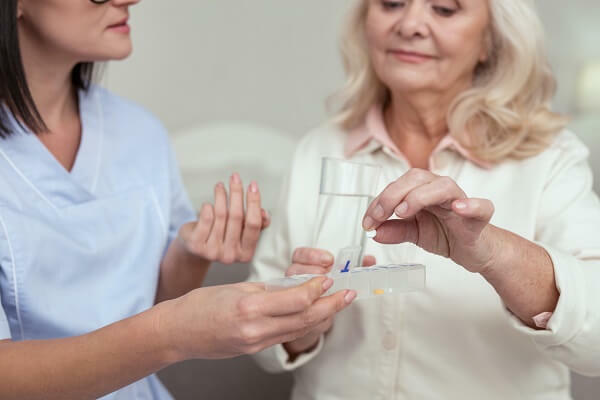 Specifically, the government claims that a majority of reimbursements involving toxicology testing and other key services that were billed by utilizing a 01-hospital modifier constitute violations of the federal False Claims Act. The federal False Claims Act is violated if a false or fraudulent claim is submitted to the detriment of a federal program. In this context it is important to recognize that many seemingly “private” or “commercial” insurance beneficiaries participating in rehab programs are de facto backed up by federal health insurance plans as they are, or their covered family members, members of and employed by the federal government. Unlike criminal violations, the federal False Claims Act does not require “intent,” let alone “specific intent.” It is sufficient if the government can prove that a claim was incorrect and that the submitter “should have known” that the claim was false. That, obviously, is a relatively low standard. If your business experiences any of these potential exposures, you should be aware that waiting is not a promising defense. Health care cases must be defended proactively, and Oberheiden, P.C. attorneys have built a track record of avoiding both civil and criminal liability for its clients by taking proven and effective steps before the government comes in full force. Call us today! At What Point Should You Call an Attorney? You should call an experienced attorney as early as possible and no later at the earliest sign that your business is under investigation. Here are examples of how you may find out about being a target of a federal investigation. Federal Subpoena. The government conducts health care fraud investigations regularly through an OIG subpoena or a so-called Civil Investigative Demand (CID). Both types of subpoenas authorize the U.S. government to request a variety of information from targeted entities or individuals including but not limited to patient charts, billing records, financial and account information, corporate documents, marketing materials, and email and communication records. In criminal cases, the government, through a United States District Court, will demand such information through a Grand Jury subpoena. Health Care Audit. Perhaps the earliest sign of a targeted investigation is when your business receives a request to produce patient charts as part of a seemingly unsuspicious audit. Many times, audits specifically select issues already identified by the auditor. For example, if all patient charts requested contain similarities such as the same code applied, involve the same referring physician, or are linked to the same reference laboratory, then the chances that the auditor is trying to prove a point of misconduct rather than just conducting a routine audit are high. FBI Agents Show Up for an Interview or with a Search Warrant. The clearest sign that the government has targeted your business occurs when federal agents show up unexpectedly to either conduct an interview of the business owners or staff or, worse, present a federal search and seizure warrant. If this happens to your business, you must immediately seek the assistance of experienced health care fraud criminal defense attorneys as an indictment and federal charges may be imminent. How Can Oberheiden, P.C. Defend Your Business? Oberheiden, P.C. dedicates its practice to defending health care businesses against allegations of fraud and abuse. If you find yourself in a situation of concern, or simply have questions about your compliance structure, you can contact or call attorney Dr. Nick Oberheiden and his team today to get answers to your important questions. There is no charge and all consultations are 100% confidential.